Electricity produced by your PV system is used first to instantly power anything needing electricity in your home. This power is not reflected on your NET meter or your utility bill. Any excess power produced by your system that is not used instantly travels through your NET meter and into the local power grid. When you are producing more power than you are using, your NET meter numbers will go backward. When you are using more power than you are producing, your NET meter numbers will go forward. With net metering, if your system produces more energy than you consume in a billing period, the excess kilowatt-hours (kWh) are carried forward as a credit to reduce future bills. Once a year, TEP and TRICO will buy back any credits that remain in your account as of your October billing date if you are a TEP customer or your September billing date if you are a TRICO customer. TEP and TRICO buy back credits at current wholesale rates, which are listed on their websites. Please note: It typically takes one complete billing cycle after your system is inspected by the utility before you will see any changes reflected on your bill. TEP is in the second phase of their rate case, which will address changes to net metering and rates for customers who sign up for solar (distributed generation) after the date of the decision of the rate case. 1) Net metering is to be replaced with an export rate set at $0.095/kwh. This would mean that any electricity used on site when it is generated would be valued at retail rates ($0.105 - $0.125/kwh), and any energy exported would be valued at $0.095 cents. The export rate would be locked in for 10 years, after which it would change to the current rate at that time. Each year the export rate will change based on a calculation of the cost of utility scale solar energy values. 2) Time of Use (TOU) rates with a grid access fee, or Demand based rates. Both of these rates would result in a significant reduction of the savings from solar, so that if they were approved, solar energy systems might never pay for themselves. The payback if the rates were fixed for 20 years would be about 15 years, but because the export rate will only be fixed for 10 years, the payback for new systems would be unknown, but greater than 15 years. 3) Increased meter fees for the bi-directional meter, and a new meter fee for the solar meter. These fees would have a small impact on large systems, but for customers with modest bills they would extend out the return for solar even longer. 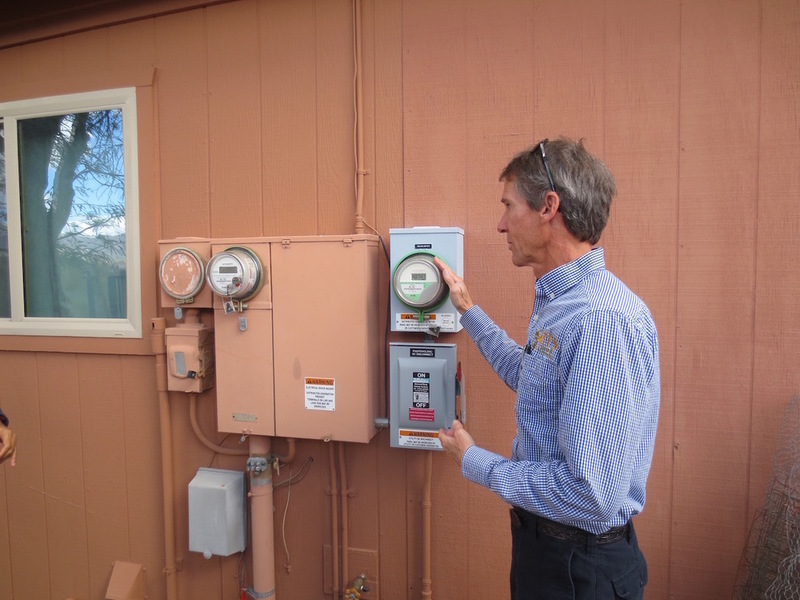 TEP customers who submit an application for interconnection prior to the decision date of the Phase 2 part of the rate case will be grandfathered under existing net metering rules for 20 years from the date of their installation. We expect the decision to be made sometime in the fall, unless there is a settlement, in which case it could be as early as mid July.